Millions of Americans face pricey vehicle repairs from rust damage every year, and the chemicals used to de-ice roadways can be one of the main culprits. 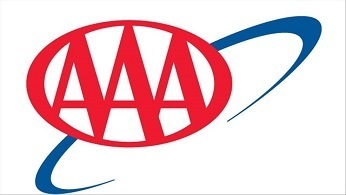 Â AAA East Central advises motorists to take action throughout the winter to prevent dangerous rust-related vehicle damage to brake lines, fuel tanks, exhaust systems, and other critical vehicle components. Keeping up with washing your vehicle in the winter is critical to avoiding costly repairs down the road," says Mike Hoshaw, vice president of automotive services for AAA East Central.Â â€œOver time, rust can cause not only cosmetic issues, but serious safety issues for drivers by components on the underside of your vehicle.â€??? In recent years, many state and local transportation departments have shifted from using rock salt to liquid de-icers to combat ice and snow on the roadways. Â These newer alternatives are more effective than traditional salt because they can be applied before a snowstorm, have a lower freezing point and melt ice and snow faster. Â However, these same characteristics can be even more damaging to vehicles since the chemicals remain in liquid form longer and are more likely to coat components and seep into cracks and crevices where corrosion can accelerate. Frequently wash your vehicle, paying particular attention to the undercarriage. 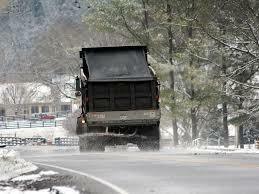 Â This will loosen, dissolve and neutralize road salts. Â Many drive-through car washes offer an undercarriage rinse as an option. A "spongey" or soft feeling when applying pressure to the brake pedal.